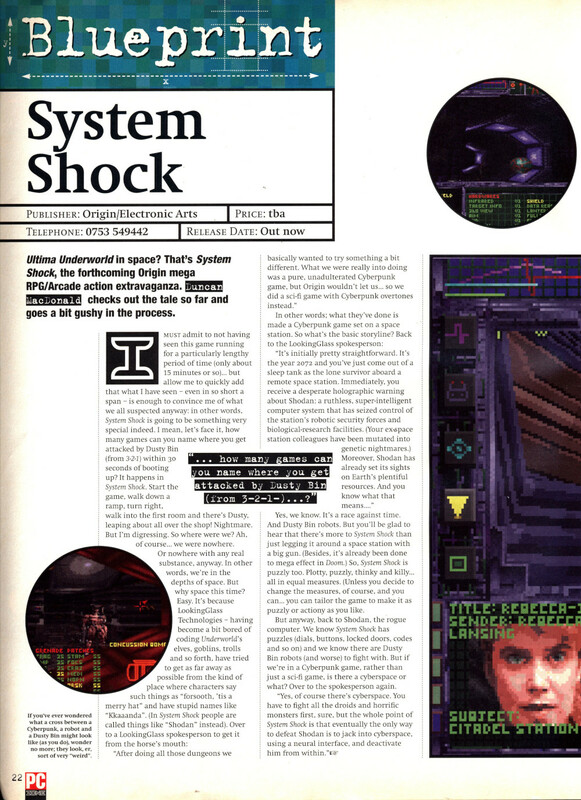 I’ve been meaning to post this for ages but at long last here is Charlie Brooker’s review of System Shock from PC Zone issue 20. 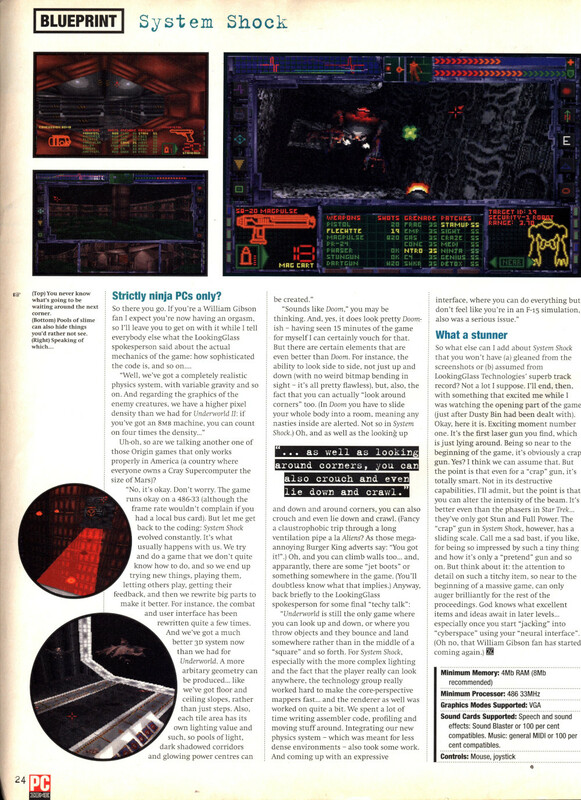 He absolutely loves it of course giving it a whopping 95% in an issue shared with Doom 2 which only scored 90%. I gather it never sold as well as it should at the time and I’m wondering if going up against Doom 2 wasn’t the best idea. The CD version didn’t follow for another year or so of course so the version we are all familiar with is even better than the one reviewed here. I’ve added some 2010 PC Zone’s to the scan archive over recent weeks and also managed to get hold of issue 16 from July 1994. The full magazine is now scanned and uploaded but I had to share another Origin game preview from it’s pages here. The reviewer was clearly looking forward to the final game – I’ve still got the review itself to upload on here and will probably get around to that one next week. 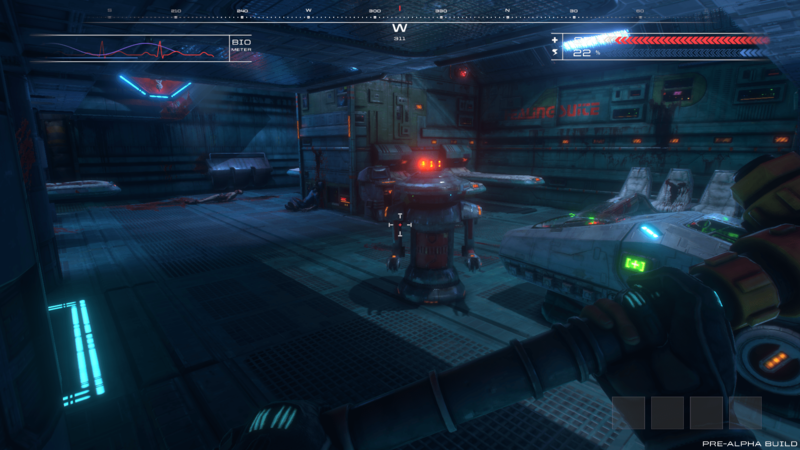 The big Origin news in recent weeks has been the launch of the System Shock Remake Kickstarter. I’m late enough to get around to looking at this that it’s already funded but with only 3 days left some more money certainly wouldn’t hurt the cause. It’s not all that far into the stretch goals which is a clear sign of the reduced enthusiasm for Kickstarter these days if you ask me. I’m as jaded as any by certain previous Kickstarter experiences but there have certainly been some notable successes. This is one project I was always going to get behind as soon as I heard about it. 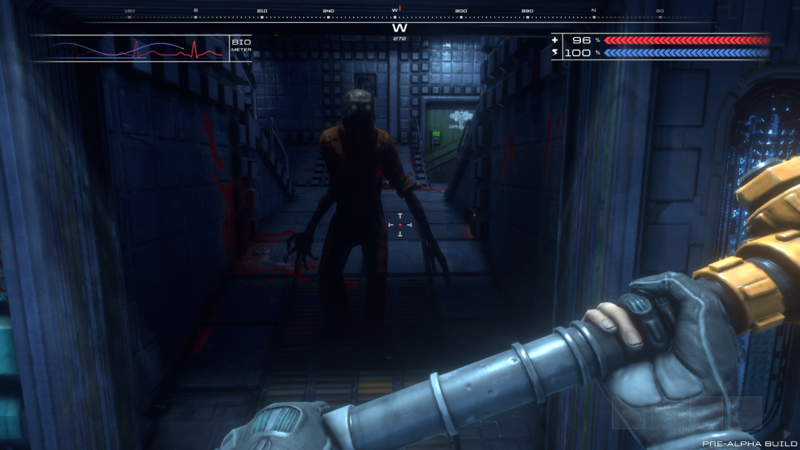 The remake is being done by Nightdive studios who have been responsible for several old PC games getting GOG releases, including the enhanced version of the original System Shock which most of us thought would never get a rerelease before it happened. They are already far enough along to have produced a demo which I thought I should have a go on before forking over my cash. 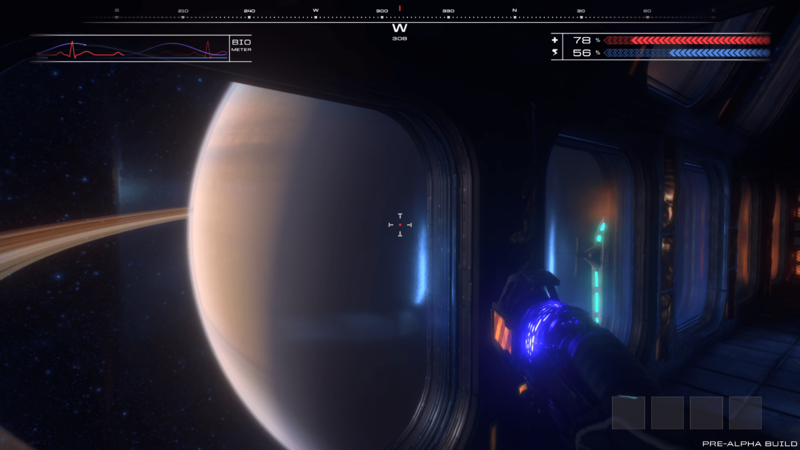 The demo comes with all the usual pre-alpha warnings but is surprisingly polished. 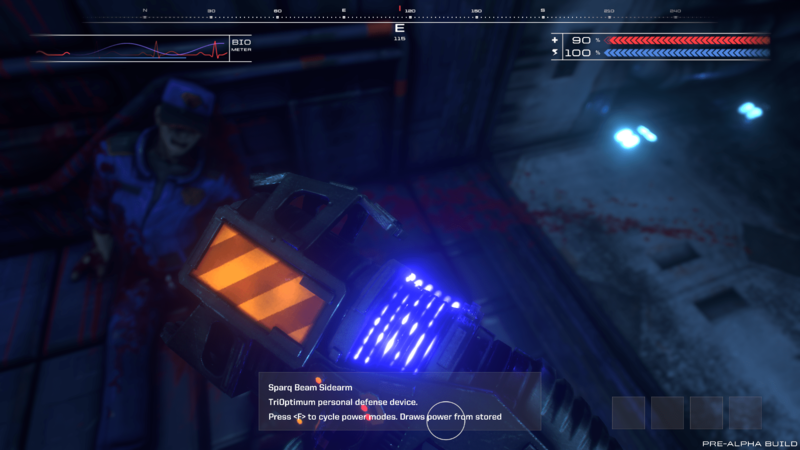 What I really didn’t expect from this was how it’s instantly recognisable as System Shock. 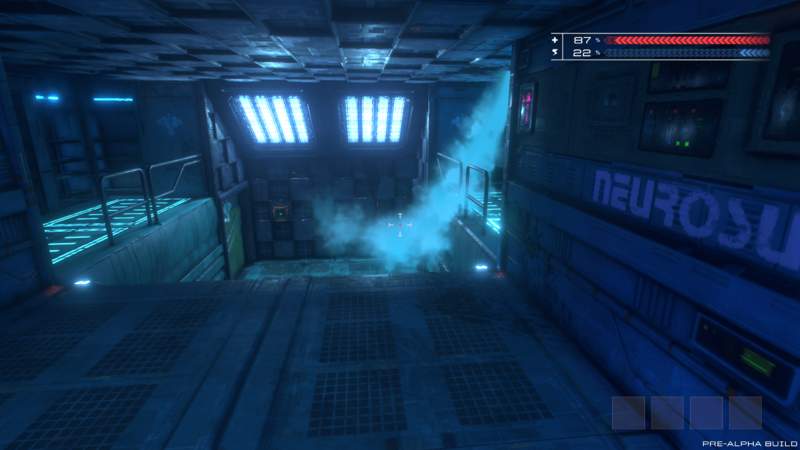 It’s an entirely playable first portion of the original game remastered into Unity. All of the rooms and environments are all the same yet at the same time massively enhanced. 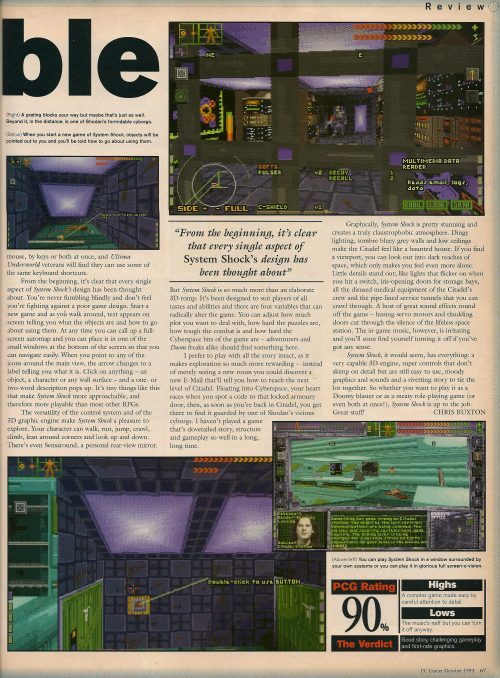 The pitch talks about producing System Shock as you remembered it, rather than as it actually was. It’s quite the trick to pull this off but I’d say the demo excels – it’s quite a bit better than I remember it in truth. If the rest of the game carried on in this vein, it would be well worth the asking price. The demo doesn’t go very far of course and is over in about 10 minutes. This is perhaps a little unfortunate as anyone who hasn’t played the original might wonder what all the fuss is about. 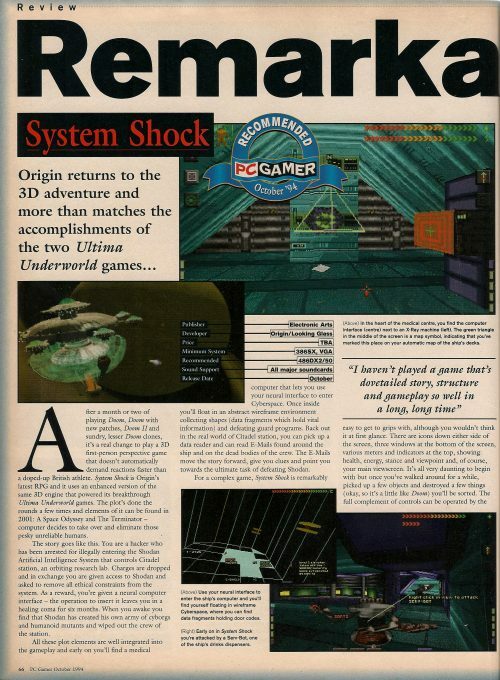 I’ve little doubt the demo is mainly going to appeal to those of us who were around for System Shock the first time around but that was always going to be the people putting in the lions’ share of the funding. The stretch goals include all sorts of extra content which is something I’d really like to see. 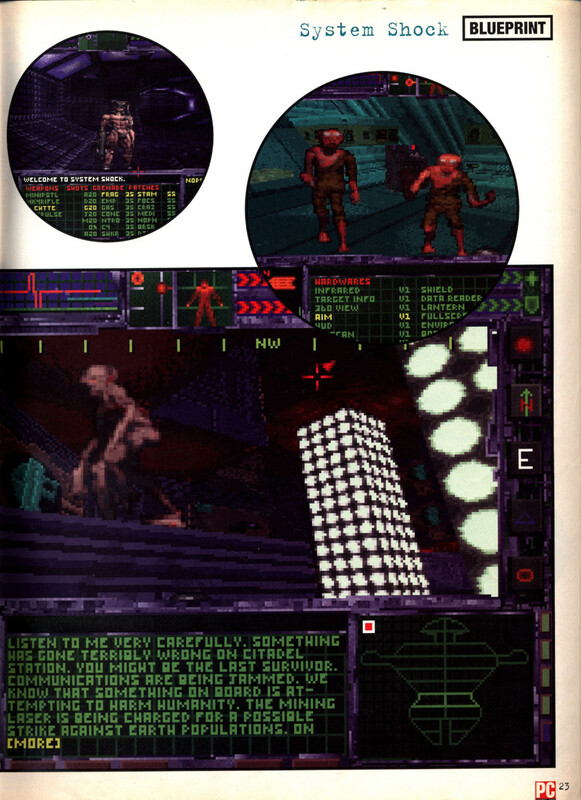 I can go back and play the original System Shock any time I like. I would love this to add something new to the mix so I’m hoping for a last minute rush of backers. It strikes me that the pitch has done everything right at any rate so I’d heartily recommend anyone to give it a look before the time runs out. I won’t get too excited about it yet as I know how long these projects always take to come to fruition but I’m really looking forward to playing a new System Shock and with System Shock 3 also on the way we now have two of them in the works. This unofficial guide was published by Sysex in 1995, and clocks in at just over 200 pages. It’s largely written from the point of view of a character construct A.I. that the hacker acquired before being put to sleep for 6 months, although this pretence is largely dropped by the time it gets to the walkthrough stages. The guide is full of original artwork of varying quality with most of the pages being spent on the walkthrough. It also has all the other sections you would expect on the likes of enemies, weapons, general strategies etc. 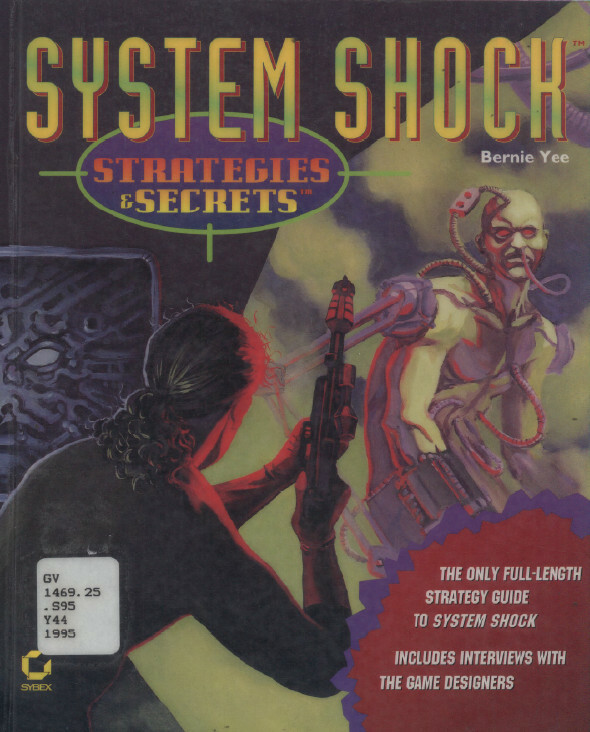 The original System Shock guide always did seem a little small. The maps are larger and clearer here and the extra pages give a little more room to flesh things out with this guide acting as a replacement for the manuals to some extent. It hardly makes full use of all those pages though so it’s a close run thing as to which is the better. What sways it for me is a brief interview with Doug Church right at the end which is well worth a read for anyone interested in the game. The pdf is a little on the unnecessarily large side but the guide is now scanned and available with all the others either on the downloads page or from here.